Poor Evan Pettiwhisker Tildrum, the would be king has his fair share of problems. Well, other than his name. His father recently passed away, leaving him the throne. It’s bad enough that the current kingdom of Ding Dong Dell has a wicked divide between the cat and mice tribes that threatens to tear the kingdom up. Many feel that a mere child can’t run the kingdom properly and a nefarious plan that has been in the making for some time finally hits its end game. A coup is staged and Evan is forced to retreat from his birthright, all the while being informed that his father was actually poisoned as part of the coup. Barely escaping with his life, losing both his kingdom and a very dear friend. Yep, Ni no Kuni II starts off with a bang, for sure. This sums up the first hour of Ni no Kuni II and goes to show that this sequel will follow a more mature story as opposed to the previous game, made obvious with two deaths right off the bat. This is a story that has its fair share of ups and downs, all the while showing the progression of Evan’s character from a naive child to a mighty king. While the characters you’ll encounter have all been written to invoke all sorts of emotions from you. I cheered for the good guys, while I truly loathed the bad ones. They all have a charm that really leaves an impression on you, which is something I can not say for a large majority of games that I’ve played. All are very well done and there’s bound to be one or several characters that you’ll connect to. 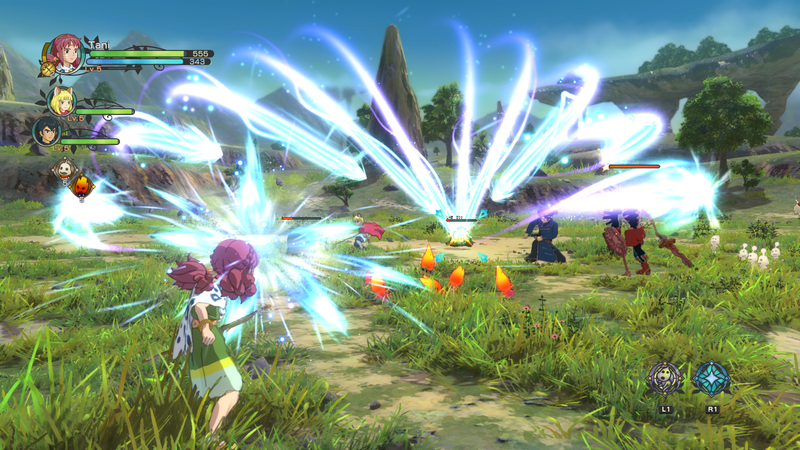 One of the biggest complaints from the first game was the combat system, which has been completely revamped in Ni No Kuni II. You’re given complete control of your characters, as you hack and slash your way through each battle. You can equip up to three melee weapons and one ranged weapon, each of which you can switch to at any time during battle. With this change to the battle system, creativity leads the way when it comes to getting through each different enemy encounter. You’ll utilize light, heavy and ranged/magic attacks, as well as charged up attacks that let you do extra damage at the cost of being stationary for a moment. On the defensive end, you can perform blocks, which can turn into parries if you time them just right and dodges. You also have your magical abilities, which are super flashy and more damaging attacks. These cannot be overused, as magic attacks require magic points. However, your magic points can be recovered by using items or damaging enemies and recovering the blue orbs that drop, giving you multiple options to use and recover your magic attacks. Early on in the game, you’ll get access to an item which will let you customize how you do battle. With this, you’ll be able to fine-tune your skills against certain enemy types, focus on their weaknesses while buffing your offensive and defensive abilities. You’ll even be able to increase the number of experience points, currency or gear that you’ll earn from battles. You don’t have to use it, but you’ll fare far better if you do. Of course, since you are not alone and travel with two other companions at a time, the AI controls the others. While AI was fairly competent during battles, I wish I could have given them orders that would have helped avoid silly deaths. You can also be able to switch to them at any time while in combat, which is helpful as each character has a specific strength and will either do more damage or take less damage. Another advantage of this setup is that you can launch an attack, string it into your special attack and then move on to another character. The only downside is that you can’t switch in the middle of a special attack and will have to wait until it finishes. While the ability to string together your special attacks would be nice, I can also see how it could be abused. That being said, I really enjoyed the battle system. It just feels natural, it’s easy to get accustomed to and more importantly, it’s fun. However, I do have one complaint about the battle system and perhaps it’s just me. I felt that the game was too easy. I rarely felt threatened when I entered a fight and as long as I was prepared I typically won them. This includes going up against the bosses in the game. The difficulty or better yet, the lack of difficulty could be disappointing for those who like an actual challenge. There’s just way too much hand-holding and little is left for you to find out on your own. In fact, the only real issue I had was when I went up again the super hard enemies that were scattered throughout the world map. Here’s to hoping that Bandai Namco and Level-5 introduce more challenge mode in the future. There are two new game features that could be considered mini-games but are actually integral parts of the game. The first is the kingdom building mode. Since Evan was robbed of his kingdom, part of the game is him attempting to establish a new kingdom. As such, you’re tasked with finding a suitable place to start, building it up and maintaining it. This includes managing not only the various buildings that will be in the kingdom but also finding suitable personnel to run these facilities, which in turn affords you things like money to keep the kingdom afloat, new gear, spells, consumables and more. Those familiar with Suidoken will feel right at home here, while everyone else will adjust to this fairly quickly. At first, it seemed daunting, but the game eases you in while you start managing the kingdom and eventually gives you free reign to do as you please. Well, mostly. Since kingdom building is still part of the main campaign, most of the aspect is gated. Meaning certain things will be locked behind the story progression, which I wasn’t a fan of. I started enjoying running my own kingdom, only to be told that I didn’t enough IQ or people needed to do what I wanted. It’s a nice way to force micromanaging on to you, but without the boredom. The second new addition revolves around real-time army battles, called Skirmishes. What good is a kingdom without a good military force, after all? Here you’ll be tasked with setting up an army and engaging with various other armies as you attempt to grow your kingdom or for completing certain tasks. The larger the army, the better your chances of surviving encounters will be. This also includes finding new people to add to your army, developing strategies and tactics to help level the playing field. However, just like the kingdom building, this is also gated. You’ll find various quests that require you to use your army, only to be forced to visit them later as your level just isn’t high enough. Visually, Ni no Kuni II is beyond beautiful. I know one of the worries of the titles was that Studio Ghibli wasn’t connected to it. Thankfully, those fears have been put to rest. I fell in love with the stunning and charming art style. For that, we can thank Yoshiyuki Momose, who worked on films such as Spirited Away and Princess Mononoke. Anyone who is familiar with either of the two films will definitely appreciate what has been accomplished here. What stood out to me more than anything is how Level-5 was able to create such amazing facial expressions. From the emotions that are being conveyed to the seamless nature of going into battle, it’s amazing how much work went into this. The frame rate was smooth, whether I was in battle or running around various locations. I did notice a few frame drops every so often while in battle, but those were few and far in-between. Playing the game on the PlayStation 4 Pro was a truly amazing experience and owners of the system will be in for a treat. There’s even option to switch between 1080p and 4K, and as well as enabling HDR. If you have an HDR-enabled 4K TV, you’re going to love how this looks. But if you don’t, not to worry as both 4K sans HDR and 1080p simply looks amazing. The sounds of the game were equally impressive. I don’t know what magic Joe Hisaishi and his team used to create such an amazing and moving score for the game, but I’m just happy that they did. The music is powerful and moving, invoking the right tone at moment it was needed. Whether it be a battle, a touching moment or when everything hits the fan – the music just fits so well. Even the title menu music is amazingly well done, calming and moving. I’m a huge fan of orchestral scores, and this is just one example of something that Joe Hisaishi has a knack for. I played the game completely using the English voices. Overall, they were good, with some cringe-worthy moments. However, the one thing that bothered me was the lack of consistency when it came to the voice acting. Now I don’t understand why some segments are voiced and others aren’t, but I feel that it should have been completely voiced or not at all. Despite this, you can toggle the voice language and listen to the Japanese voices with English subtitles, if you’re not a fan of English voices in games like these. 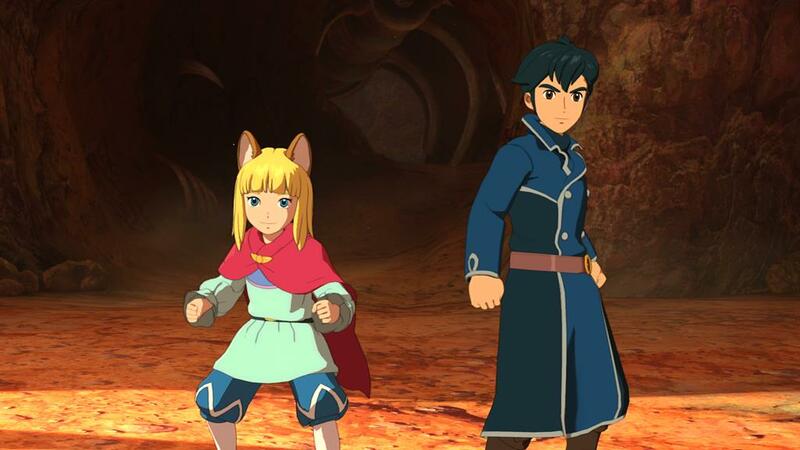 Ni no Kuni II took me about 45 hours to get through, including completing some of the side quests, as well as the main campaign. That said, I didn’t complete all of the side quests, as we didn’t have enough time to get to them all. For those wondering about the longevity of the game, I’ll leave you with this. There are 150 different side guests and 50 errands that you can complete outside of the main quests. Not to mention the super hard enemies that are scattered across the world for you to defeat. Not to mention more kingdom building, searching out new recipes, raising more Higglediges, or even finding hidden items. If you’re looking to get the platinum trophy for the game, you can easily spend between 50 to 60 hours. Maybe even more. Rest assured, you won’t be blazing through Ni no Kuni II unless you’re just focusing on the main story only. There’s also a season pass that will introduce a new chapter, several new dungeons and extend the playtime even longer. All in all, I haven’t been this excited for an RPG in quite some time. The revamped battle system, the amazing cast of characters you’ll interact with, an engaging story, the kingdom building and some of the best visuals I’ve seen in a while makes Ni no Kuni II is a must play for any PlayStation 4 and PC owners alike and is yet another contender for the Game of the Year for 2018. And we’re only in March! 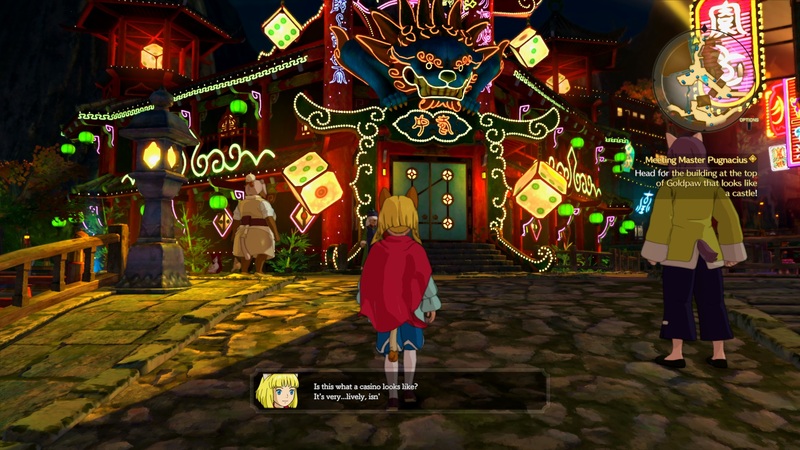 Review Disclosure Statement: Ni no Kuni II: Revenant Kingdom was provided to us by Bandai Namco for review purposes. For more information on how we review video games and other media/technology, please go review our Review Guideline/Scoring Policy for more info. Ni no Kuni II is easily one of the best RPGs on the PS4 and PC. A masterpiece that needs to be played by everyone, regardless if you like RPGs or not.